This is not another ‘country over club’ lamentation about the slew of talented cricketers unavailable to the South African T20I, ODI or Test teams after signing Kolpak contracts, but the epitome of opportunity lost. Kyle Abbott and Rilee Rossouw are the most recent examples of cricket’s freethinkers, who effectively ended burgeoning Proteas careers in exchange for the comfort and permanence offered by county cricket. Simon Harmer and Stiaan van Zyl are less relevant illustrations, after failing to make enough of an impact to suggest promising international futures. More recently, Cameron Delport and Colin Ackermann made the switch before international cricket beckoned. While Kolpak contracts have become acceptable among those receptive to the fluidity of the global cricket landscape, Ingram swapped a future with the Proteas for the stability of Glamorgan in 2014, when the patriotic were quick to question before genuinely understanding circumstance. He was a pioneer, not defector. 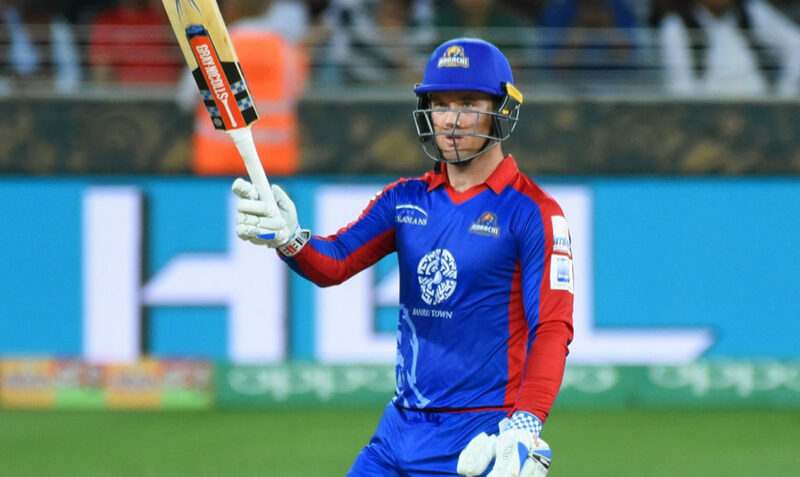 He has since forged a significant career for Glamorgan, captaining the limited-overs outfit, and gathered stints in Australia’s Big Bash League, Caribbean Premier League, Pakistan Super League and several other domestic T20 competitions throughout. The last three weeks, in fact, have seen Ingram represent teams in as many competitions. Now a veritable journeyman, in the vein of Chris Gayle or Kevin Pietersen, only a return to the Indian Premier League awaits. Ingram played a few matches for the Delhi franchise in the 2011 edition of the tournament, but wasn’t a household T20 name at the time. That has certainly changed, all because of a shrewd decision to base career roots in England rather than South Africa a couple of years later. South Africa’s so-called ‘Vision 2019’ continues to see a string of average domestic cricketers being trialled at international level, in an attempt to widen and force experience on the talent pool available to the selectors for next year’s World Cup. Christaan Jonker, Khaya Zondo and others are just more of the same decent middle-order batsmen privy to this pool. Reeza Hendricks and Heinrich Klaasen are arguably better than that. Ingram’s calibre, though, is that of an obvious match-winner – not just another support act to Hashim Amla, Faf du Plessis, JP Duminy and Quinton de Kock. ‘I haven’t been given the backing by South Africa. It is unfortunate that I have had to sign a Kolpak contract. I know I won’t be up for selection for South Africa for the next couple of years, but in the long run that is the goal, to be selected for the Proteas again,’ Ingram said in a November 2014 interview with SA Cricket magazine. Those remarks, however, were prior to his successes across various T20 leagues. The limited options, then, were Kolpak or country. The increasing choices, now, put a long list of T20 suitors in the way of that naive ambition four years ago – and substantially harder to swallow with the World Cup just seven months away, when the Proteas will require an AB de Villiers-sque talisman to lead the campaign.